Anne Ananga is a Family Nurse Practitioner, board-certified by the American Nurses Credentialing Center (ANCC), and licensed by the state of Florida to provide Primary Care to patients of all ages. Currently she works at the Bond Community Health Center in Tallahassee Florida Her scope of practice encompasses health promotion, disease prevention, diagnosis and management of acute and chronic health problems in children, adolescents, adults and geriatric patients. She began her career in health care in 2004 as an undergraduate student by working as a certified nurse assistant (CNA) in group homes, nursing homes and rehabilitation centers. Since that time, she has accumulated nearly eleven years of nursing experience and education in various areas of patient care, which include working with mentally challenged clients, medical surgical nursing, adult and geriatric care, as well as Primary Care Services. Anne has a unique combination of strong nursing skills. She strives to provide the best health care possible. She believes in building a lasting and trusting relationship with patients and customers. She seeks to acquire a comprehensive evaluation of every patient by taking time to listen and understand his or her particular needs. Her true desire is to enhance a positive healing experience and confidence to those in need. 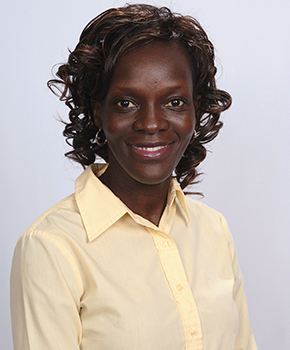 In addition to her extensive clinical experience, Anne also has an outstanding academic background that includes Associates Degree in Nursing (ADN) from Northeast Alabama Community College, a Bachelor of Science in Family Consumer Sciences from Kenyatta University-Kenya and a Bachelor of Science in nursing (BSN) from The University of Alabama at Birmingham (UAB). She also has a Master of Science in Nursing (MSN) with a specialization in Family Nurse Practitioner (FNP) Program at UAB, Alabama. She graduated with honors from the class of 2005 RN, 2008 BSN, and 2011 MSN, respectively. A person’s health status reflects every aspect of his or her life. I understand that each patient is unique and has specific healthcare needs. By actively listening to my patients and understanding their complete health history, I am better able to provide them with the support, knowledge, and tools to empower them to take an active role in their health. I believe that patients’ taking an active role in their health care plan makes them more willing to adhere to a plan of care, fostering better healthcare outcomes and enhanced patient satisfaction.